Bull Rider Ty Porter is confident, flirtatious, and determined to marry his long time girlfriend, Tawny, as soon as she dumps her current boyfriend. After all, they’d grown up together and everybody believed they were meant for each other. Celia Park has loved Ty since high school, when she dreamed of marrying him and opening a coffee shop. Years later, she’s working as a sous chef when she reconnects with Ty after a rodeo in Vegas. Drunk and freshly broken up with Tawny, Ty sweet talks Celia into a hasty wedding ceremony. The next morning, sober and serious, he confesses that he’s still in love with Tawny, and that their marriage was a mistake. One spectacular night together changes the course of her life. Not so much, his. At least, not for a few years. Normally, I don’t reach for a book where the couple is married already, but a friend’s review enticed me to scoop up Meant to Be Mine. I’m glad I did. The dialogue is real, the banter is flirty, and zingers constantly fly between Ty and Celia. During the opening chapter, Celia’s heartbreak is actually tangible, so real and raw, her pain practically seeps from the pages. It was hard to like Ty at first, but even the morning after, the author paints a picture of a repentant Ty. It doesn’t take long for him to prove himself faithful and trustworthy, and he only wants what’s best for Celia and Addie, even if that isn’t him. Their journey to romance is fraught with emotion and obstacles, including ex-girlfriend, Tawny. It took Celia much prayer and practice to forgive Ty, but Celia wasn’t totally off the hook here. More than a romance, this is a story of forgiveness, and how two people found their way back to each other, but maybe their hearts had never been that far away in the first place. I enjoyed everything about this book, and I think you will, too. 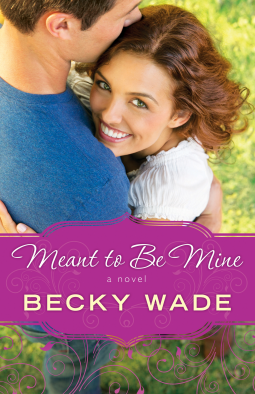 Disclaimer: Sending a big thank you to Bethany House Publishers and NetGalley for allowing me the privilege of reviewing Meant to be Mine and for the free copy I received in exchange for my fair and unbiased review. This opinion is my own, and I received no compensation.